Juniors of Galileo’s Health Academy participate in a cooking program provided by our partners The American Heart Association. The program is eight weeks long and the students learn how to cook on a budget while eating healthy. 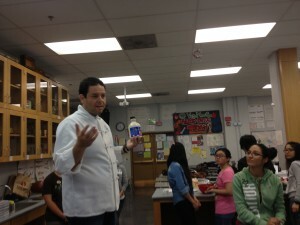 Shane Valentine with students of Galileo Health Academy.